Pro-Change Behavior Systems, Inc. announced today that Rush University Medical Center is offering its scientifically grounded and proven effective Tobacco Cessation program for tobacco and e-cigarette users across their patient and employee population, as well as the greater community. Rush is a nationally recognized academic health system whose mission is to improve the health of the people and the diverse communities across the greater Chicago area it serves through the integration of outstanding patient care, education, and research and community partnerships. The Tobacco Cessation program leverages Pro-Change’s innovative and data-driven tailoring technology to customize behavior change guidance for each participant. Ready or not, program participants receive feedback, interactive activities, and text messages specifically matched to their readiness to stop using all forms of tobacco and e-cigarettes. Like Pro-Change’s other award-winning behavior change programs, the proven-effective Tobacco Cessation program is available in English and in Spanish from any internet-enabled computer or mobile device. Postcards (available in both English and Spanish) about Pro-Change’s Tobacco Cessation program are being distributed to patients. Providers are also recommending the program to patients who report tobacco use and when doing so, they are able to take advantage of a seamless referral order through their EMR (electronic medical record). The program is also being promoted to employees through internal newsletters and other marketing materials. Employees on the Rush medical plan who participate in the 2019 Choose Health screening can earn 50 Action Plan points when they report completion of the Tobacco Cessation program. Future marketing strategies will further target community members as well. As a premier training provider in functional medicine, Pro-Change was thrilled to be approached by the Kresser Institute to assist with the creation of the ADAPT Health Coach Training Program. The inclusion of training in behavior change and the Transtheoretical Model was an incredible addition to the already very strong curriculum. Over 6 months, Pro-Change developed 13 custom training modules covering not only the basics of the TTM, but also how to use and apply the different constructs of the model throughout coaching sessions. The training modules assist student coaches in their journey to become better prepared to help clients change behaviors, no matter which stage of change they are in at their first coaching session. In addition to the training modules, Pro-Change also collaborated with Kresser Institute faculty to develop coaching session role-plays using the TTM. These pre-recorded role plays allow students to see and hear what a coaching session could look like, including where and how different aspects of the model can be utilized. In the most recent release of Pro-Change’s Health Risk Intervention (HRI), clients and partners now have the ability to enable a screener for key health-related social needs that play a significant role in determining health outcomes. 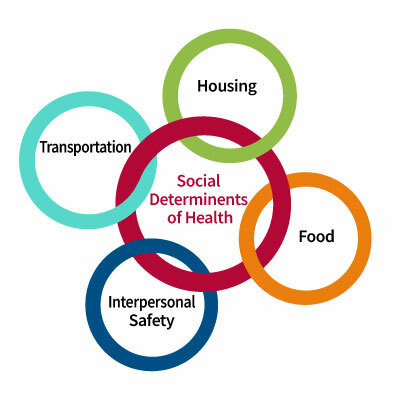 Increasingly, organizations such as the Robert Wood Johnson Foundation (RWJF), Centers for Medicare and Medicaid Services, and the American Academy of Family Physicians (AAFP) are advocating for addressing Social Determinants of Health (SDOH). In fact, RWJF reports that as much as 40% of health outcomes are attributable to unmet social and economic needs. Unfortunately, however, these factors are often largely unaddressed in worksite health promotion programs or clinical settings. The optional screener in Pro-Change’s Health Risk Intervention includes ten items that assess core unmet social needs, such as housing, food, transportation, and personal safety. The questions were explicitly selected because they are validated assessments of social needs* that can be addressed at least in part by community services. Any affirmative response triggers feedback that refers the respondent to vetted local community resources, as well as suggesting they speak with a healthcare provider, social worker, or community health worker. And what better time than during National Alzheimer’s Disease Awareness Month and National Family Caregivers Month to announce that Pro-Change has been awarded a grant from the National Institute on Aging? With this funding, Pro-Change will develop and pilot test a mobile intervention designed to improve well-being among individuals who provide unpaid care to a family member or friend diagnosed with Alzheimer’s disease or a related dementia. While caregiving can be a positive experience that brings meaning and an increased sense of purpose, it can also lead to the caregiver feeling overwhelmed. Caregiver distress is associated with adverse health outcomes for the caregiver and poorer quality care for the care recipient. As the number of older Americans increases, so will the need for informal caregivers. 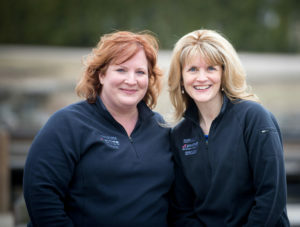 Led by Dr. Deborah Levesque, Chief Science Officer, Pro-Change will employ a design-for-dissemination approach to the development of Connect2Care, a text-messaging based intervention for Alzheimer’s caregivers. Connect2Care will be designed to promote the caregivers’ use of healthy strategies to manage emotional distress. Dr. Levesque’s team has already begun working to collect extensive end-user, expert consultant, and key stakeholder input to ensure that the program is responsive to the needs of end users and incorporates best practices for program engagement and retention. The project will culminate with a pilot test including 50 caregivers who will use the program and provide feedback to refine and further the development of the intervention. This research is funded by grant #R43AG060784 from the National Institute on Aging. The Transforming Clinical Practice Initiative (TCPI), an 8.3 million dollar grant awarded to RIQI through CMS, is a new opportunity for clinicians to improve patient outcomes and quality of care while preparing for the inevitable financial changes and future reimbursement models that are rapidly unfolding and directly tied to quality. TCPI has partnered with Pro-Change to make evidence-based award-winning behavior change tools available to both patients and clinicians at five practices throughout the state. As part of the newly released HealthCoach for Me, patients are invited to complete a brief online self-assessment in the waiting or exam room to determine their risks. When they meet with a clinician, she or he has immediate access to actionable insights, based on the patient’s readiness to change, via a clinical dashboard. The dashboard displays the patient’s risks and stage of change for each risk and enables the clinician to deliver a brief, tailored behavior change message matched to the patient’s stage of change for that behavior. Clinicians can then prescribe the online Tobacco Cessation, Weight Management, Healthy Eating, or Exercise programs the patient can do at home. When patients return for follow-up visits, their stage of change can quickly be re-assessed, enabling the clinician to reinforce any progress, address any challenges, and deliver updated tailored behavior change guidance. The pilot will continue through at least the end of 2018.